I’d only spoken to him a couple of times before, but it turned out Halabi was leaving for Puerto Madryn on the same day. Trying to not to sound offensive, I’ll say, to my surprise, that there’d been many Israelis at the hostel in Buenos Aires – having only met a few on the trip to that point, of which Halabi was just one. 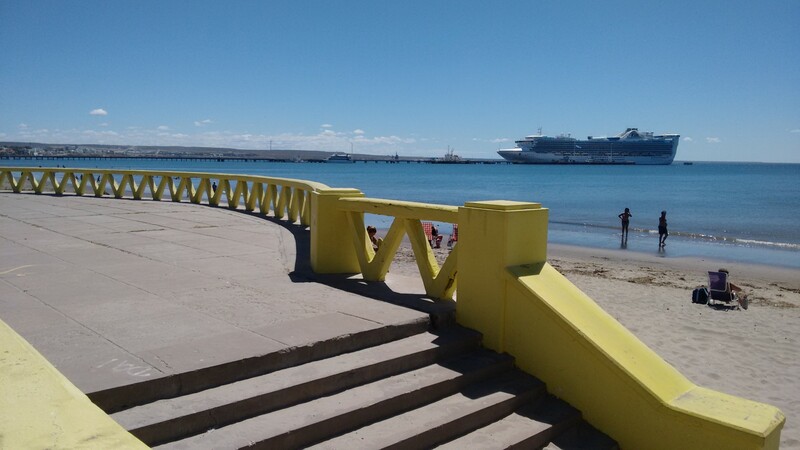 Unusually, it seemed, he was travelling alone, and we struck up more of a friendship in the taxi, and the 17 or so hour bus, so by the time we arrived in Puerto Madryn it seemed as if we had been friends a while. Ah, the Patagonian desert. It’s not really what one expects when they imagine Patagonia, is it? The bus itself wasn’t too bad either. Kinda luxurious, really. For the first time on my travels I opted for a “cama” bus, in part due to the relatively minor difference in price (it was already hideously expensive anyway) but also because everybody and their dog had told me how good Argentine buses were. We got wide, comfortable seats, passable food (that didn’t make me horrendously ill a la Paraguay), actual coffee, and, best of all, wine! Yes, while they poured a bit of drink in the plastic cups we were given, everyone was offered wine. Who was I to say no? It could only aid sleep, anyway. Even better, when I expected a tiny amount I got given a little bottle. One hundred percent, it was better than my flight to Georgetown. I didn’t sleep any better than usual though. 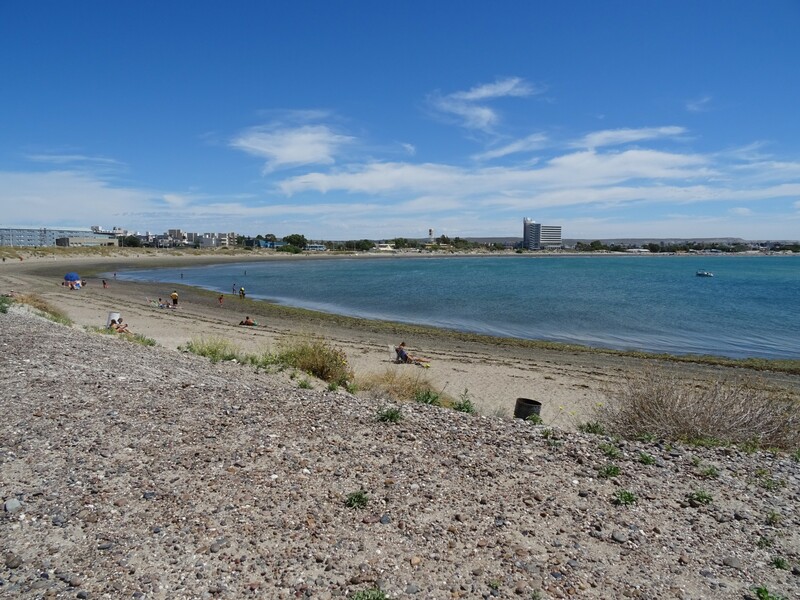 Arriving in Puerto Madryn the next day, Halabi and I made our way to our separate hostels. Halabi’s was conveniently by the beach, but mine was set a few blocks back. Also different was the clientele in the hostels, Halabi’s being full of Argentines and mine being practically empty. Only three other people stayed in the dorm in my time there – the first was a park ranger. Beaches in Patagonia too!? Sun!? This is too much. I almost missed him at first, hidden behind the empty beds at the other end of the dorm. 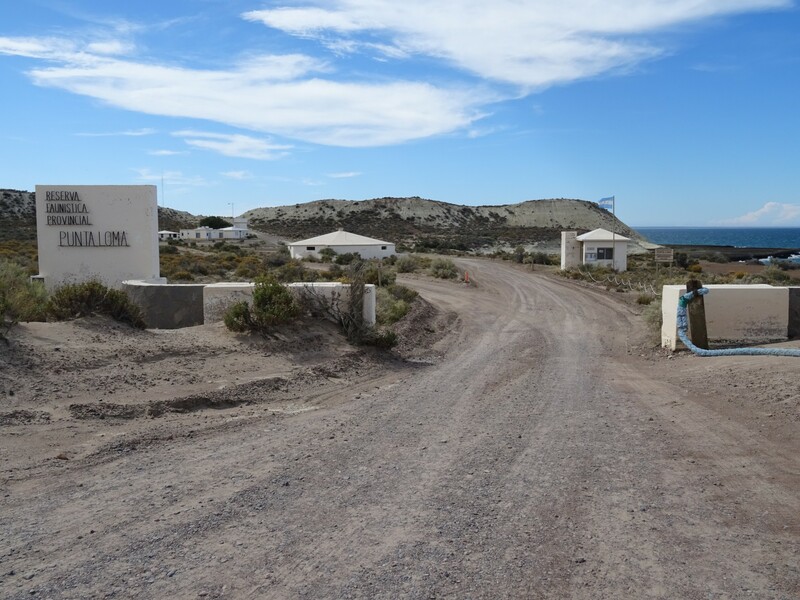 Slight, and younger than you’d expect for one in his job, be worked in Peninsula Valdes, one of the two big reservation attractions near Puerto Madryn. After establishing this fact, he proceeded to tell me about the trials and tribulations of being one of seven rangers in such a massive area – protecting and preserving the animals and their habitats was their main objective, and it was hard to do with so many tourists. 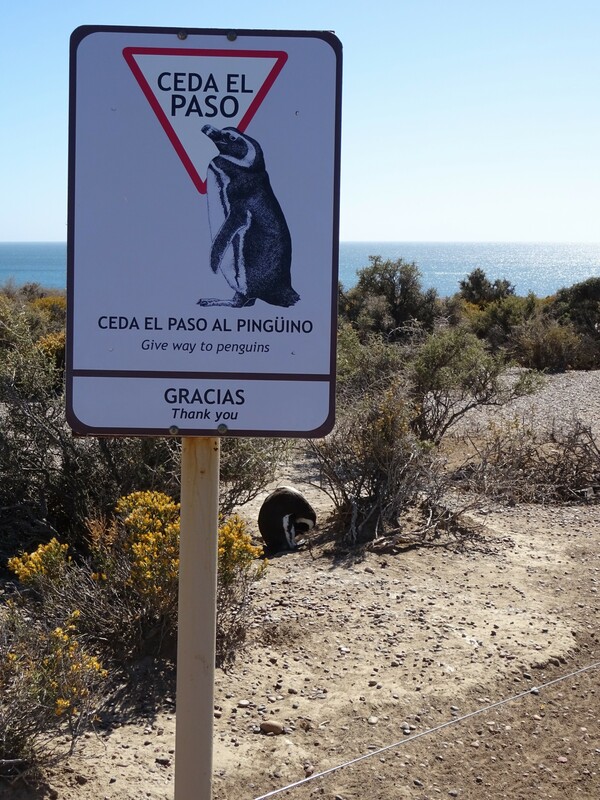 It was a similar situation at Punta Tombo – apparently, despite the warnings not to, people still liked to touch the penguins. Despite this, he clearly loved his job, and the reserve. Here was the difficulty though. 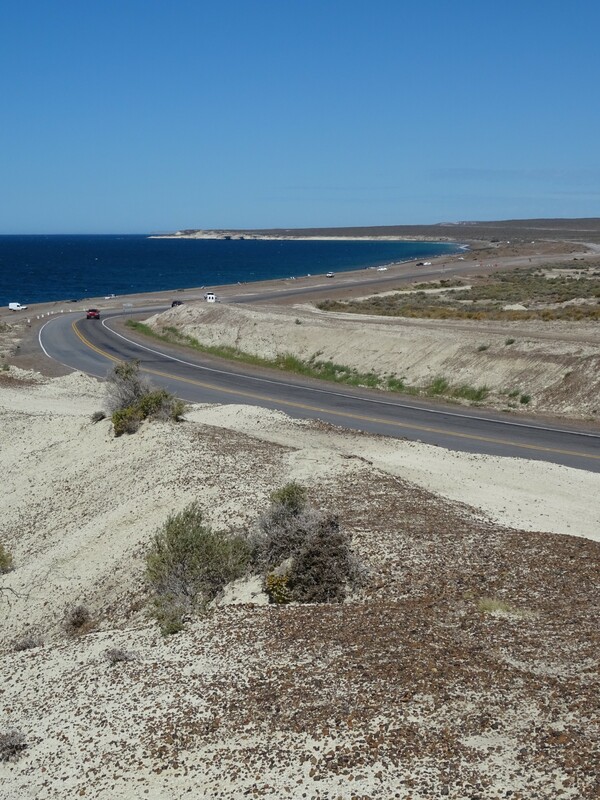 I had originally wanted to go to both Peninsula Valdes and Punta Tombo, but they were both such expensive trips I’d decides I could only go to one. 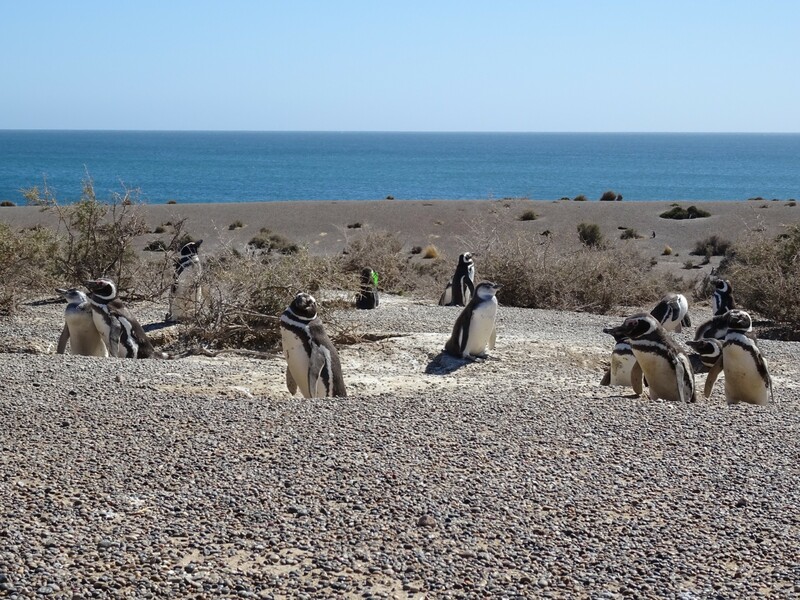 Peninsula Valdes was home to a bit of everything – sea lions, elephant seals, a small number of penguins and the slight chance of orcas (killer whales), while Punta Tombo was home to just penguins. A lot of penguins though. Guaranteed penguins. I would mull this over for a few days. 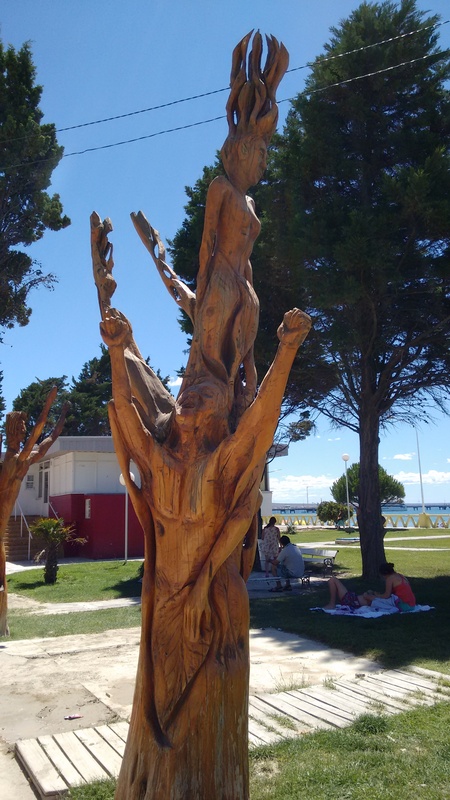 Intriguing carvings, to say the least. I met up with Halabi in the evening again, eating pizza (obviously) at Lizard Bar, presumably explaining why a giant lizard sign hangs outside. While I’d continued with my long term travel periodic rest regime, he’d been busy gathering intel on the agencies. I put this down to early travel productivity. Soon enough he’d start needing rest days, for sure. 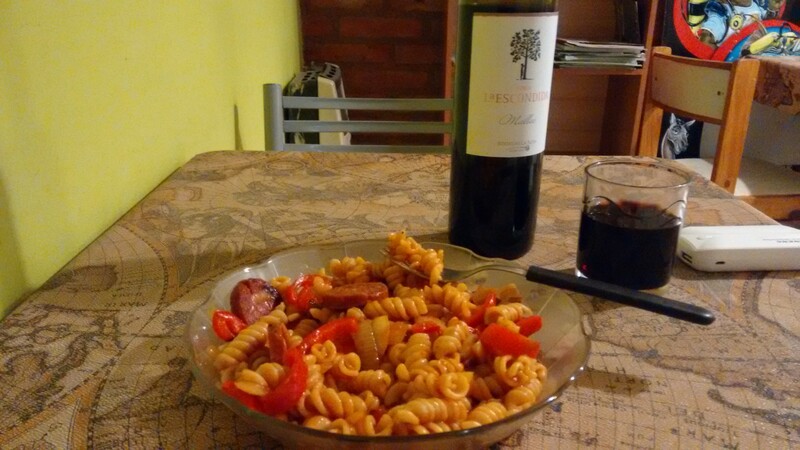 It’s a typical evening dinner – with £2 wine! I continued to be a step, or more likely a few steps, behind after this. When Halabi cycled to Punta Loma, I was looking at tour agencies. When Halabi went to Punta Tombo, I cycled to Punta Loma. 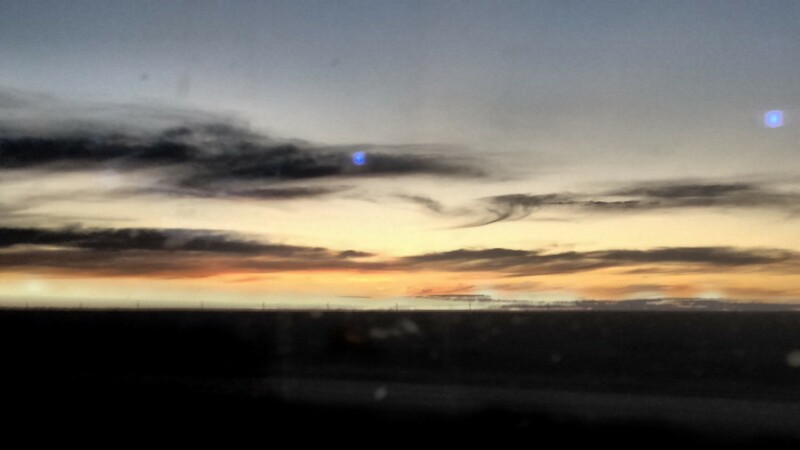 I didn’t mind, I’ve become accustomed to everyone travelling faster than me, but it was akin to being a slow old man. Nevertheless, I made progress. I did cycle to Punta Loma. I had originally planned to use the hostel’s (free – bonus!) bike, but the tyre was flat, and I couldn’t read the instructions at the petrol station nearby. They didn’t have a regular pump at the hostel. I rented one the next day instead. Now, let me get this straight. I’m not a cyclist. Walking, yes; I can do it all day. Cycling, well, let’s just say the same ease doesn’t cross over. I’ve stopped for a rest. Surprise. It’s 17km to Punta Loma. The whole ride follows the coast – limiting uphill sections – but while its not the same as going over the Pennines, or around the Lake District, I didn’t care for the hills. Or, for that matter, the constant face on coastal wind. I took a much needed break at the crest of one about halfway, but didn’t falter. Nor did I when the road turned to gravel, the seat I was sure morphing into a granite like structure. This was still an improvement on the sand – that which took all speed away, and dragged the front wheel from my grip. Punta Loma! I’ve arrived thank God! I kept momentum toward the end with the sight of a fellow biker in front. It was all I could wish for just to keep up, but eventually I even started reeling him in. He’d slowed, and eventually stopped, and as I whizzed (read: slowly strained) past I knew there wasn’t far to go. A few turns later, and some last uphill, brought me to Punta Loma. 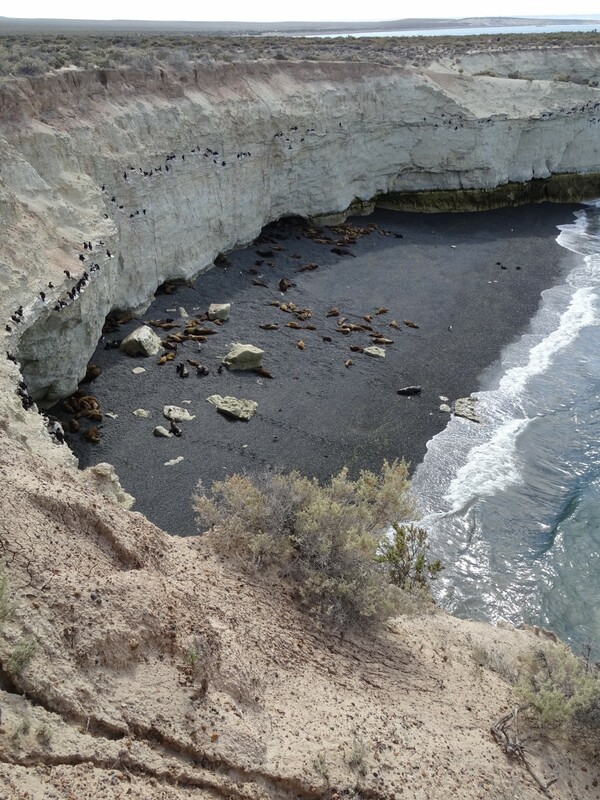 OK, I didn’t just come for the beach – there are sea lions here huddled into a little cove. Lots of them. 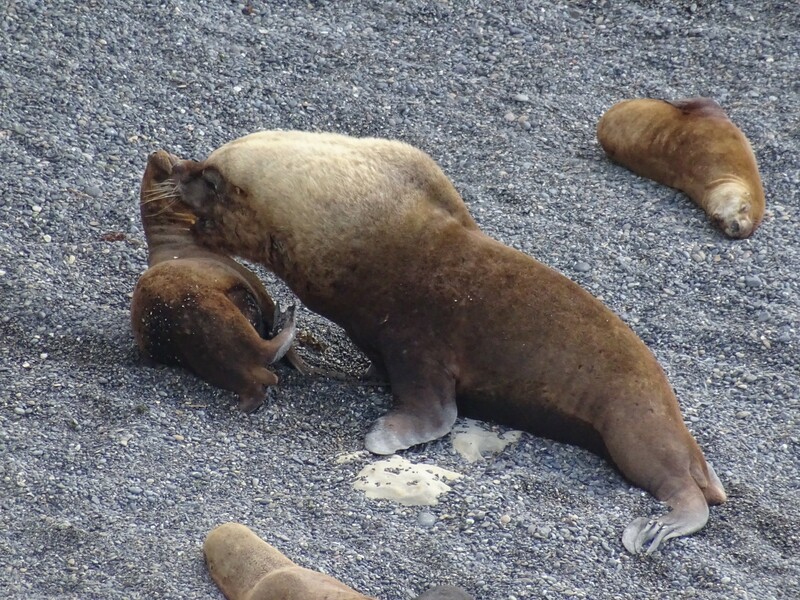 Successfully hidden from predatory orcas (I learnt earlier, in Spanish, that killer whales cannot get sea lions on pebble beaches as they get stranded, unable to shuffle away in the same way as on sandy beaches) the larger ones bark and push around the others. Obese and irrevocably grumpy, they reminded me of my cat, though at least energetic enough to assert dominance. They’re pretty easy to take pictures of. Mainly because they don’t move. Back in the hostel, I’d now met the two others who would reside in the dorm during my time there. One was a guy from Salta, in the north of Argentina. He was a tango dancer. I probably should have asked him for tips. The other was Alejandra, a painter from Buenos Aires. She was in Puerto Madryn to (surprise) paint, and had a gallery opening in a town nearby too. Despite my still poor Spanish vocabulary, we managed to talk pretty well and it was really good to talk a bit more Spanish after the lack of in Buenos Aires. Alejandra actually offered me a painting before I left – she didn’t like it when people she met left – and I felt terrible when I had to decline. The last thing I would have wanted is for it to get ruined in my bag. It’s some sort of bird. At some point, I eventually booked a tour. 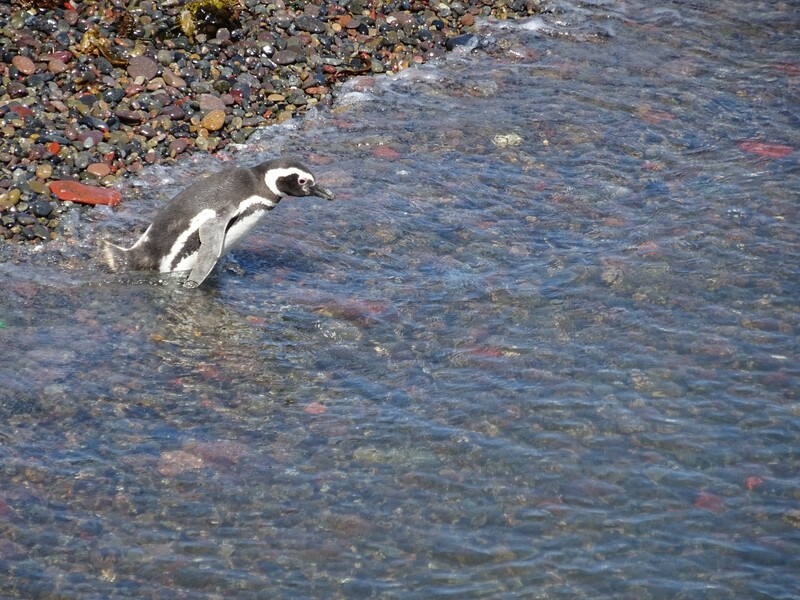 I decided to go to Punta Tombo, at least this way I was guaranteed to see penguins. I did as well. Thousands. Maybe hundreds of thousands. 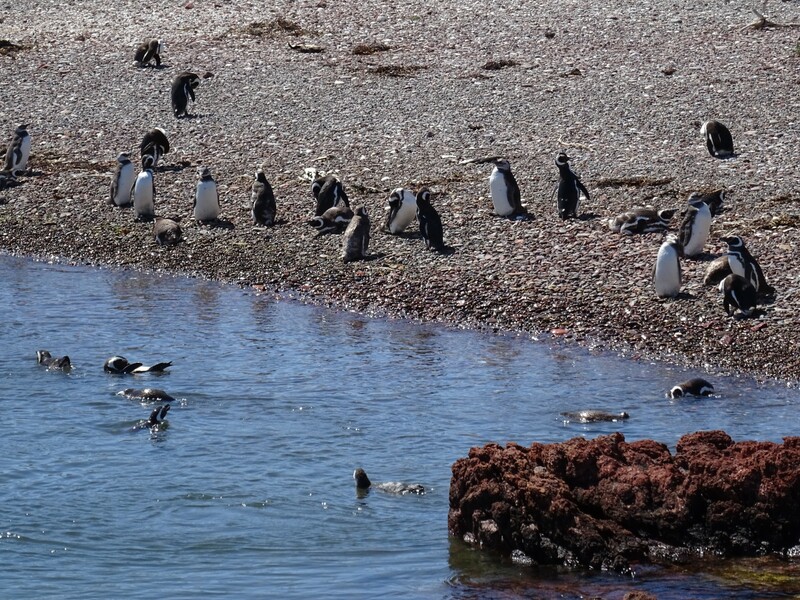 This arid, desert like location is actually their summer destination – despite the general belief that penguins all reside in the Antarctic (OK, my belief), this is as far south as these particular penguins go. In the winter they head off to Brazil for a bit of sun! 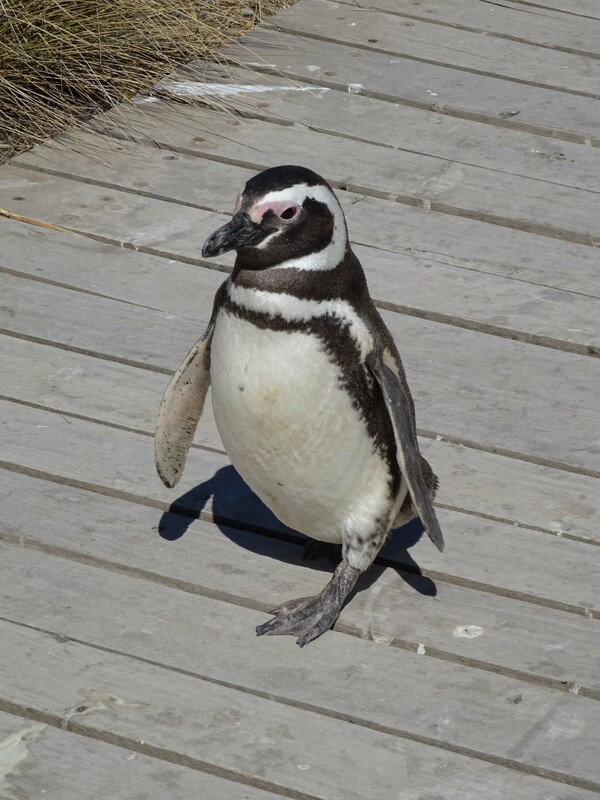 Waddling around, the penguins are hilarious to watch, especially when you have to give way to them as they cross the boardwalk (there are even signs for it!). The penguins themselves aren’t the least bit bothered by the people around, several standing in the way or just using the boardwalk as a pathway themselves, while some are hidden in their little holes or just sunbathing. 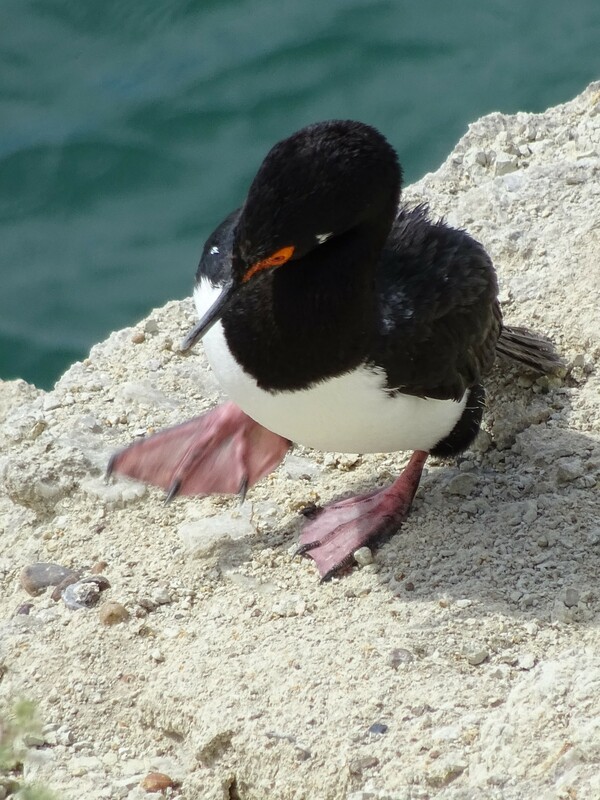 Others still have waddled down to the beach for a bit of a swim. While I was annoyed to be dragged out earlier than expected, and not have anywhere else included in the tour (I seemed to have been passed off to another company with a different itinerary without notice) it was hard to be disappointed by a day that I had watched penguins. Spending my last evening trying to lodge a complaint seemed a bit of a waste. He’s ready for a dip. 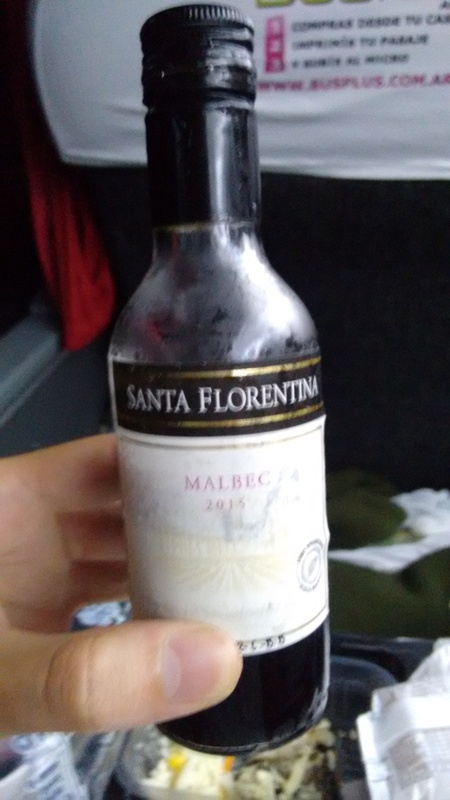 After a horrendous restaurant meal due to the power being out at the hostel, I got on the bus to Rio Gallegos. Supposedly about the same as the previous one, the bus had already arrived about two hours late before delays of an unknown origin extended my stay to a lovely 27 hours. I guess that’s still 100 fewer hours than Aron Ralston had his arm wedged under a rock for, and I didn’t have to cut off my own arm, but its still pretty tedious. This bus also wasn’t half a luxurious as the one before – no wine, a horrendous excuses for coffee that comes in a teabag, really noisy air con and earphone slots that don’t work. Ok, I may have spoiled myself. 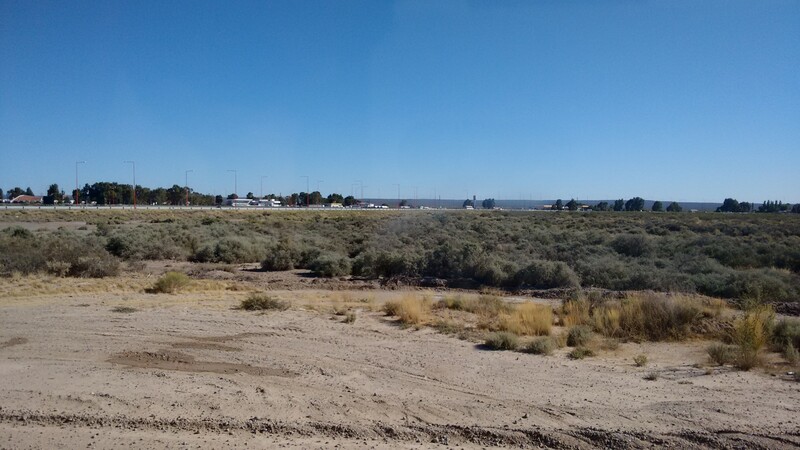 Still, I did eventually arrive in Rio Gallegos. They’re free range penguins. Extra tasty. It was 10PM – I had been meant to arrive about midday. I was also booked on my next bus at 8:30 the next morning. 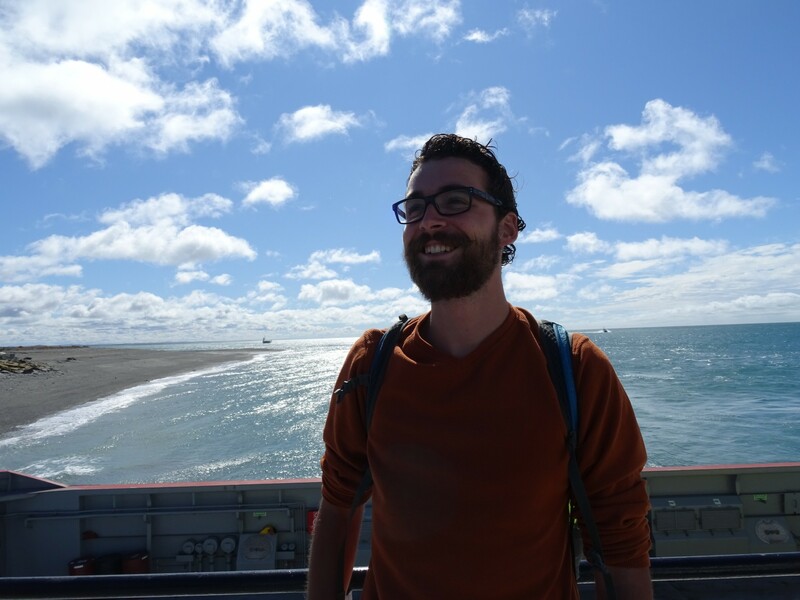 While any sightseeing in Rio Gallegos was obviously called off, I did get told there was nothing to see by about a dozen people, so I wasn’t too devastated. I was back at the station the next morning, along with a couple of French girls who I’d seen on the previous bus and eventually spoke to at the hostel, for the next setback. The bus wasn’t going to arrive until at least 4PM. Great. Eight hours. Before the 12 hour bus. This serves me right for reserving in advance – I hate being so organised. Nevertheless, despite the fact that we couldn’t get refunds (come on, what were you expecting – this is South America!) we were told we could instead use the ticket for the next 60 days. Fat lot of use that would be. While I didn’t want to lose money (~£40) there was another company about to leave, so the decision had to be made quickly. I was about to sit and wait it out when I realised that the bloke had meant I could also use the ticket to return in the next 60 days. I really couldn’t be arsed with arriving in Ushuaia at 4 or 5 in the morning, so I hastily arranged myself onto the other bus. I was pleased with this decision, though in hindsight, I’d come to regret this, or more likely the original reservation. 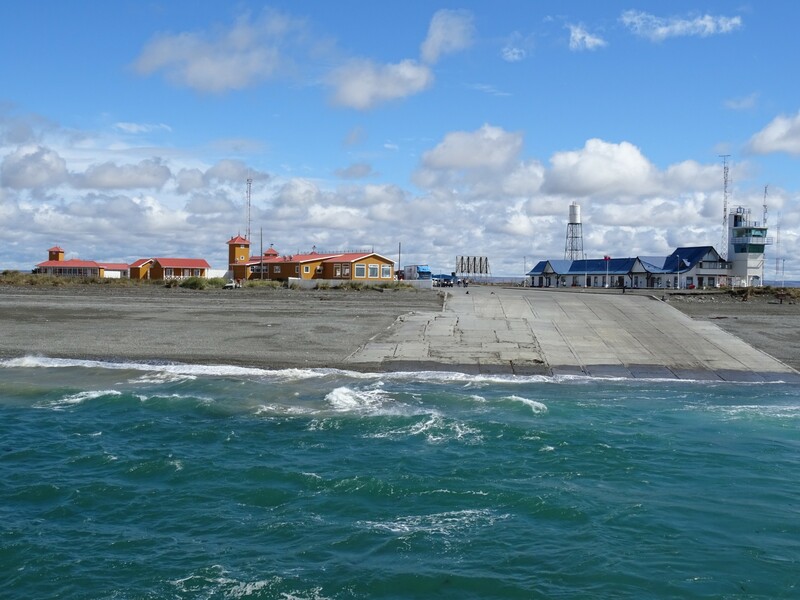 The bus pulled away though, and after two border crossings (one into Chile and one back into Argentina), where Argentine customs officials continued their assault on my passport, and inability to locate the previous stamp, I was soon on my way to Ushuaia. The end of the world. A regal looking beard now, I reckon. 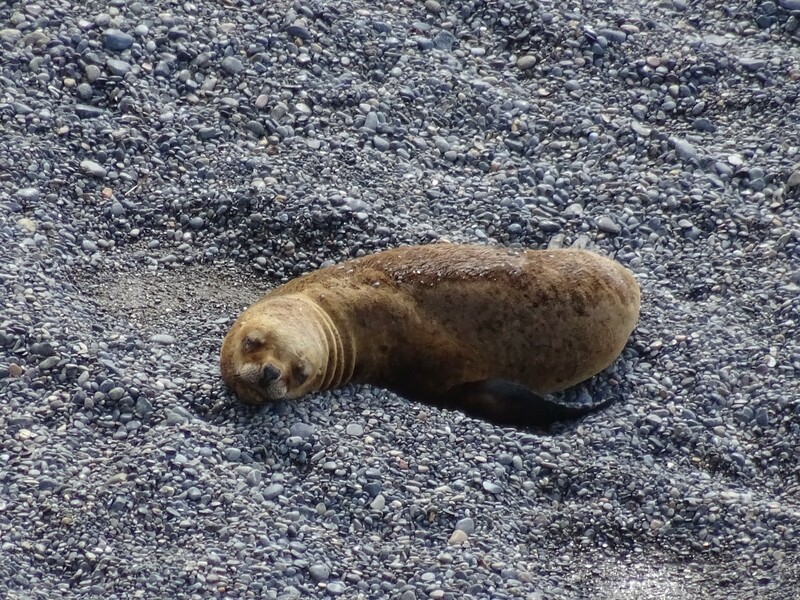 Biking, Boat Travel, Border Crossing, Bus Travel, City Exploration, February 2016, Patagonia, Wildlife Galore. Bookmark.